Continuing our series on new Lucidchart features released in 2016, we would like to point out a new shape library and a new general feature that will improve your experience in Lucidchart: timelines and autolayout. You requested, and we delivered! Lucidchart now makes timelines. 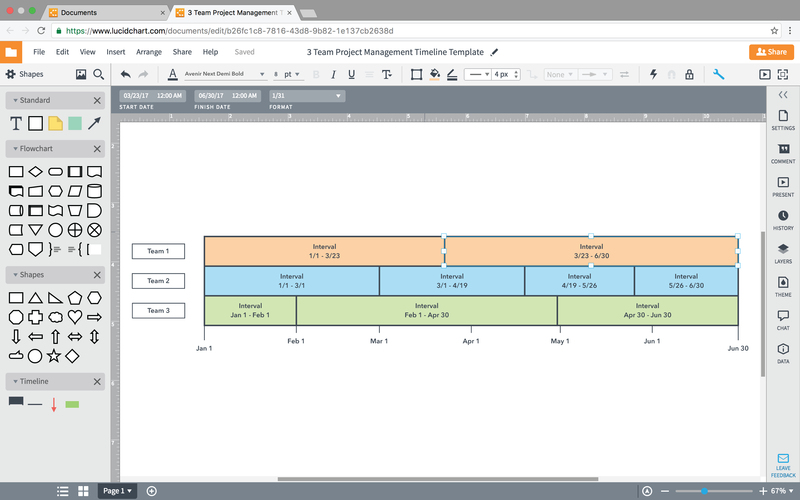 Use timelines for project management, your personal schedule, or educational purposes. They can stand alone or accompany other charts and data for additional context. Open the Shape Manager and add the timeline shape library to your toolbar. Drag a timeline onto the canvas. In the top toolbar, adjust the range and dates of your timeline labels. You can also format your labels and choose to turn them on or off. Drag an interval block onto your timeline. Adjust the length of the interval by lengthening the shape with your mouse, or adjust the time range using the top toolbar. Stack multiple timelines on top of each other to add rows to your timeline for separate teams or projects. Drag and drop milestones onto your timeline as desired. Autolayout formats your diagrams so that you don’t have to spend extra time nudging your shapes around the canvas until they are placed just right. From the top toolbar, select Arrange > Auto Layout. 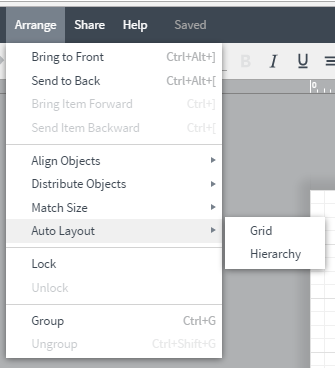 Hierarchy autolayout is best for org charts and other diagrams that stack to show hierarchy. Grid autolayout squares corners and arranges shapes for any other type of diagram you may create. Have you already used these features? Leave your thoughts in the comments below! 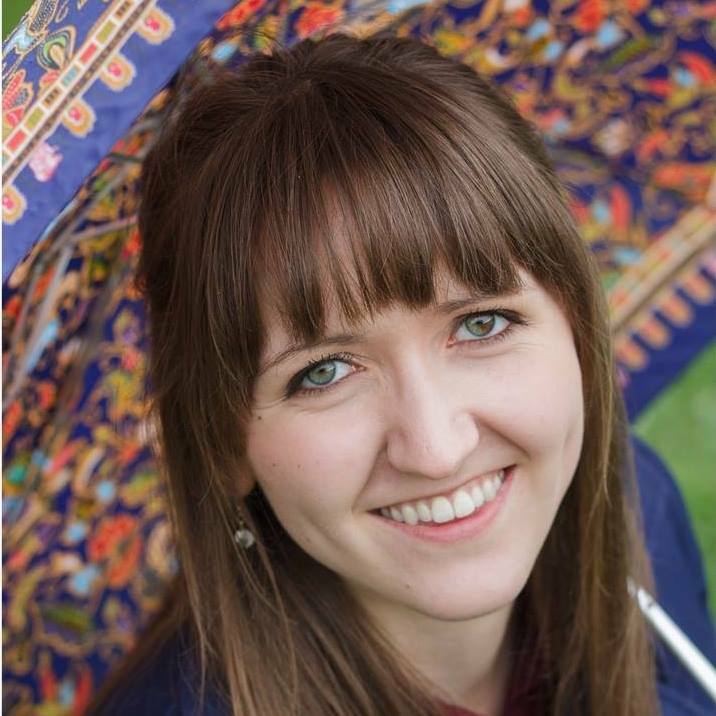 Emily Christensen graduated from Brigham Young University with a degree in Public Health. She is now a content writer for Lucid Software. When she's not making the world a better place through effective communication, she enjoys reworking recipes to include more vegetables . . . sneakily!